Covéa Insurance made a profit before tax of £21.3m in 2014, up 40% on the £15.2m it reported in 2013. The insurer’s combined operating ratio (COR) improved by 0.9 percentage points to 97.8% from 98.7%. Covéa Insurance chief executive James Reader said: “At a trading level, the market has been incredibly competitive and, against this backdrop, I’m delighted to be reporting growth in premium and profit. Reader said Covéa had maintained its disciplined underwriting approach in 2014 and had continued to invest in its core capabilities to support future growth. 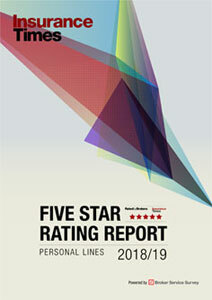 Covéa said it had delivered “strong growth” in personal lines despite competitive market conditions. Motor written premium increased by 25% and home by 6%. But profitability in both motor and home fell relative to 2013 because of underlying claims inflation, a higher-than-anticipated number of large motor claims and the severe weather and flooding in early 2014, which hit the home business. 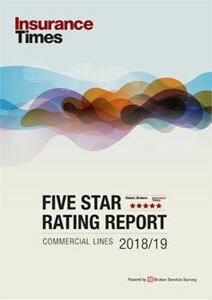 In commercial lines, written premium grew by 12% and exceeded the £100m mark for the first time. The company said that commercial profitability had improved “significantly”.